Tanzania is a country that prides in true African beauty! With its perfect location on the border of the African continent, intercepted by the Indian Ocean, the country’s weather as well as climate make it a perfect destination for having holidays. 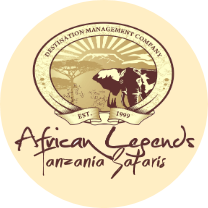 The Warm sunny days are actually followed by cold nights, and it be that you are on safari in any of its different national parks or just enjoying the beautiful beaches on the Islands of Zanzibar, Tanzania’s temperatures are normally very welcoming and mild. Tanzania walking safaris are certainly quite a rewarding way to experience Africa. This is majorly because of its large pristine wilderness areas congest with large numbers of wildlife in addition to breathtaking sceneries. Picture having an enjoyable walking safari guided by a well-trained guide, and having your nights in camps located in very ideal areas, hence being the best base for exploring the surrounding areas on foot. The walking guides include the local Maasai who unveil to you a number of the hidden treasures within the African wild. 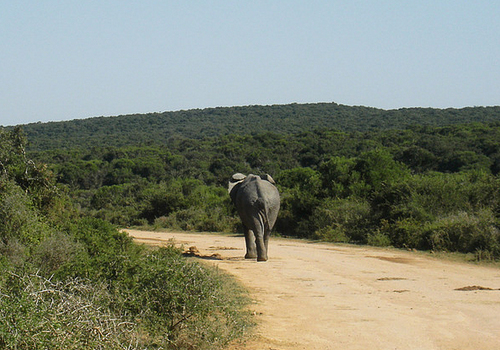 The Walking safaris are a great adventure, tailored specifically for those interested in walking. The actually include some game viewing in 4WD safari vehicles, although the highlights of these safaris are the cherished moments when you will experience Tanzania’s most remote areas on foot. In such a country with numerous diverse walking places, you can certainly anticipate that you can never exhaust all the walking options. Majority of the proficient travel companies boast of well established tracks and have designed itineraries for them. None the less you still have the liver to come up with a personally customized itinerary with the help of your travel agent or tour company basing on your personal preferences and the amount of free time you have on you. As you set out for walking safaris, also putting into the on the choice of trekking package you opt for, you can actually be rewarded with lifetime memorable experiences. A number of itineraries will take you to the spectacular sights of Mt Kibo, Mt Meru and the Shira Plateau which are easily seen on clear days. Pass the afternoons visiting the adjacent Olmalog which is a Maasai village, or opt to relax back at the camp. Campfires will be set in your camps and these together with the star lit skies and the distant sound of cattle belonging to the local resident Maasai people will actually give you a real feel of the true African setting. In the course of morning walks, you will view more and more wild animals such as zebra often running away after inquisitively approaching you. You will also see elands, Giraffes, Grant’s gazelles and impalas. You will enjoy Picnic lunch right beneath the shade of one of the ‘umbrella’ acacia tree, and this is normally the opportunity to rest as the heat of the day passes away. To offer you the reality of true Africa, a number of creative safari companies normally pitch your safari camp under a number of large acacia trees with far-reaching views of the vast plains look out to Mount Kilimanjaro. So at the setting of the sun you enjoy a delicious dinner prepared he local chefs using the local fresh foods. A number of itineraries include a thrilling walk to the peak of Napopong hill and there you can enjoy the breathtaking sights of the setting sun and the Uhuru peak of Kilimanjaro some days. The walking safaris in Tanzania can take you to Tarangire national park, Lake Manyara National Park, the edge of the Ngorongoro crater, Olduvai Gorge, and as far as the Serengeti, as well as within the Selous game reserve.